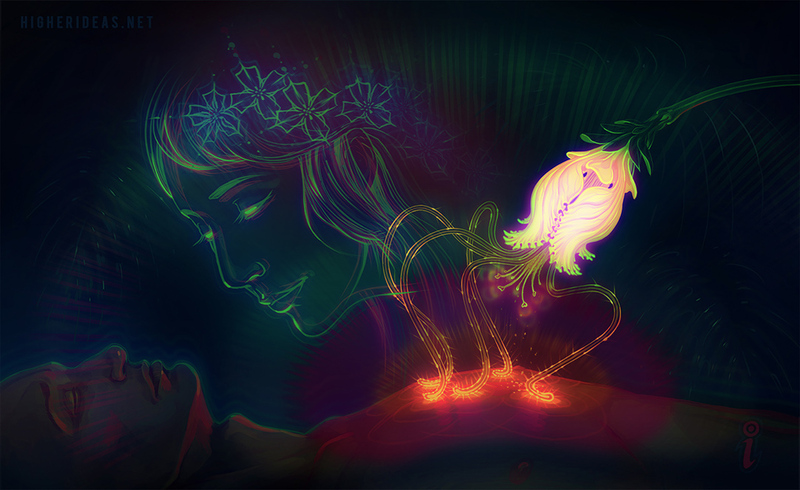 The Ayahuasca relationship is one of gradual trust. Step-by-step the medicine always probes closer, deeper, digging always towards the deepest core of your mind, heart and soul. All along the way, you’ll throw-up many walls: Distrust. Fear. Doubt. Questioning. Resistance. Let this image share a glimpse of those gentle yet powerful moments of contact, which wait on the other side of those obstacles. Keep at it – Work those barriers – Make that -CONTACT-!